The metal snaps on the jackets can detach, posing a choking hazard. 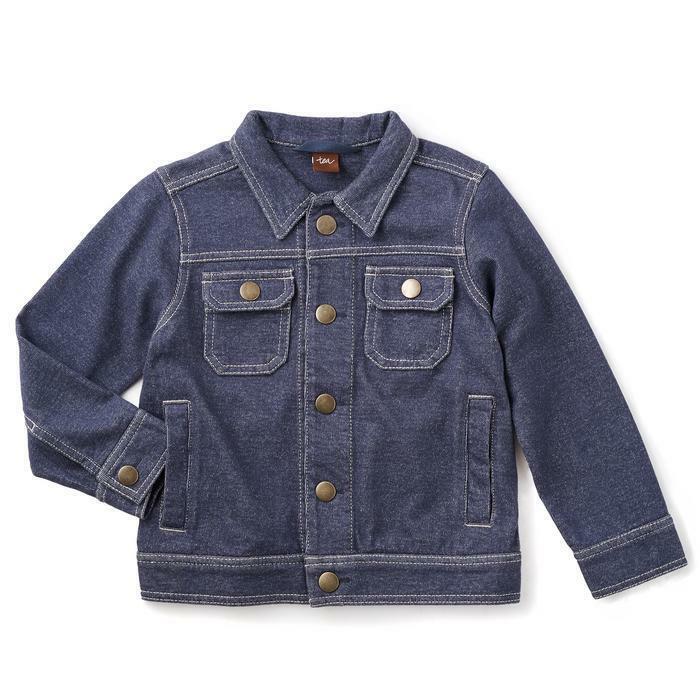 Tea Collection of San Francisco, Calif., is recalling about 525 children’s knit denim jackets in the U.S. and Canada. The company has received reports from six consumers about snaps falling off the jackets. No injuries have been reported. Style number 6F22400-405 is printed on a hangtag attached to the garment. The jackets were sold in sizes XS to XL (sizes 2 through 12). The jackets, manufactured in Thailand, were sold at specialty and other stores nationwide from August 2016 through December 2016 for about $60. Consumers should immediately take the recalled jackets away from children and contact Tea Collection to receive a full refund. Consumers may contact Tea Collection toll-free at 866-374-8747 from 6 a.m. to 6 p.m. (PT) Monday through Friday, by email at service@teacollection.com or online at www.teacollection.com and click on “voluntary recall” for more information.